If you live in the Midwest, you may have heard of Marietta, Ohio. More than likely, if the name sounds familiar, you have stopped in this quaint town in search of a restroom and some caffeine while traveling I-77 South toward your vacation destination. 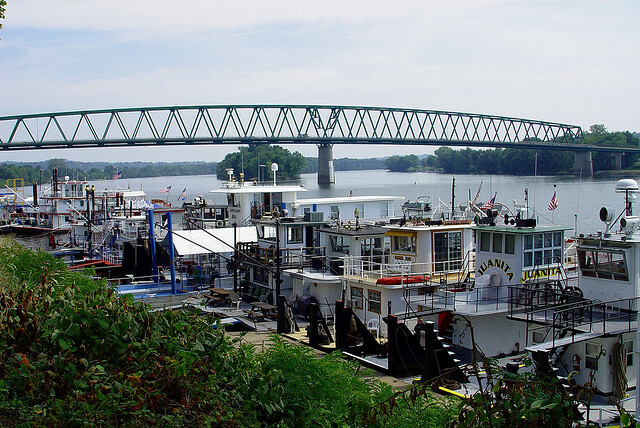 You probably didn’t venture far enough from the interstate to appreciate Marietta’s unique location at the confluence of the Ohio and Muskingum Rivers. You most likely did not research the town’s historical significance or tour the beautiful campus of Marietta College or admire the ornate Victorian homes on Fifth Street as you raced to your condo with an ocean view. There’s a good chance that you didn’t pause long enough to ride on the Valley Gem sternwheeler or check out the plans for this year’s Sternwheel Festival or hike in Wayne National Forest. And these are all things that you should plan to do sometime, especially if you live within close proximity. After all, Marietta is just a few hours from Columbus, Cleveland, and Pittsburgh, an easy road trip for girlfriends in need of a relaxing retreat or a couple seeking a quiet escape. There are many different activities related to history and the outdoors that you could enjoy if you spent a few days in Marietta, and maybe someday I will write more about those, but today I want to talk about shopping. Just shopping. Because I love shopping and because shopping at unique shops, antique stores, and small boutiques is especially fun. Stopping for good food between shops adds to the pleasure, too. The only thing that would make small-town shopping more of a treat would be having a little more money to spend doing it. A few weeks ago, I stole several hours from a visit to my hometown to do some small-town shopping, and the day was a delight. It felt indulgent. I took my time. I searched for treasures. I looked at everything without checking my phone every few minutes. I ate delicious food without counting calories. And I talked to people, mainly the shopkeepers at both the new stores and the old Marietta landmarks. Their eyes lit up when they discussed their wares and the virtues of the river city, but their furrowed brows revealed the stress of competition with online marketing and big department stores. The day reminded me, however, that there really is no comparison. The small-town shopping experience feels special, and ordering from the Internet, well, it just doesn’t. Not convinced? Let me show you what I found. Let me plan a day of your getaway for you. And when you visit Marietta, tell everyone that you read a blog about shopping there. Better yet, just invite me to be your guide. First, let’s get a warning out of the way. Marietta is a relatively safe small town. Maybe this is why they give parking violations so much attention. If you find yourself parking in a two-hour parking stall, and there is a good chance that you will, then you will need to watch the time or you will be leaving town with some fantastic purchases and a not-so-fantastic parking ticket. Every couple of hours, you can simply move your car to the empty parking space that is right beside the one that you occupied before. It’s a little bit crazy. I imagine that there are some antics that one could get away with in Marietta. Parking in the wrong place at the wrong time is not one of them. Don’t say I didn’t warn you. Once you have found a place to park, hopefully for the entire day, start your shopping adventure on Front Street near the Lafayette Hotel at Jeremiah’s Coffee House. Most of the downtown shops open at 10 a.m., so if you are an early riser, this is a perfect place to prepare for the day. 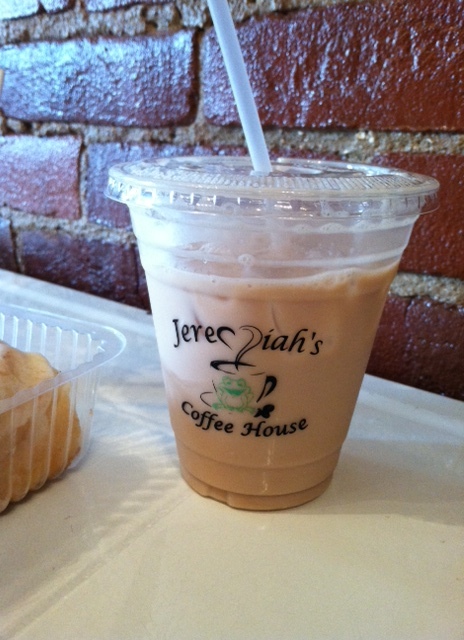 Jeremiah’s Coffee House is a new addition to the Marietta scene, and I love its atmosphere. Be sure to try a cinnamon roll there; it is an expensive cinnamon roll, but you are on a road trip, for goodness’ sake, and it is fresh from The Sweet Stop, a local bakery that is very popular with folks around town. I also recommend a chai tea latte, but if you are a coffee drinker, this is a coffee house, so have at it. The décor is an eclectic mix of modern and vintage, the story behind the shop will melt your heart, and it is an all-around great place to begin your day. After breakfast, you are ready to begin SHOPPING. Most of my favorite stores sit on Front Street, so just start walking! Be sure to browse ALL of the stores because this post highlights only my favorites, and there are others that may not be as familiar to me that you may love along the way. One secret treasure in Marietta is a Front Street consignment boutique called Change of A’Dress. This is no yard sale, my friends. When I stopped by a few weeks ago, I tried on several pieces of clothing on consignment, all of which looked brand new and one of which included the original tags. 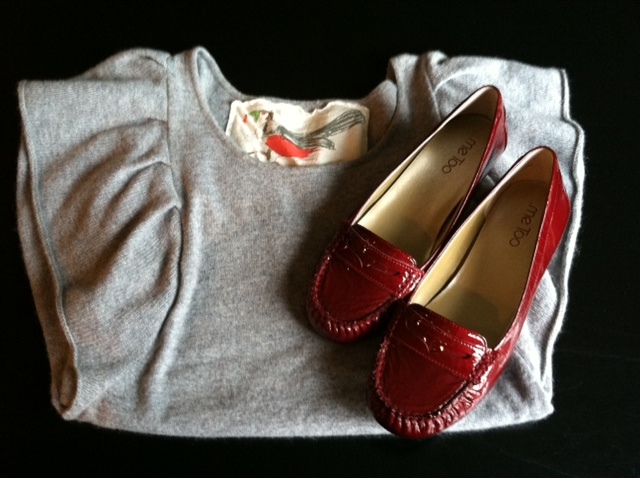 I bought a beautiful gray sweater and some shiny red loafers that also appear to be new. Cha ching! What do you think? Honestly, I could have purchased more, but this was my first stop, and I needed to pace myself. Take your time in this store and try some things on. It’s worth it, and it’s fun. Another must-see shop is Twisted Sisters Boutique. This store has become a Marietta landmark and is known for its unique gifts and quirky style. I. Love. It. They never fail to have something interesting, and they carry an array of locally made items, as well. 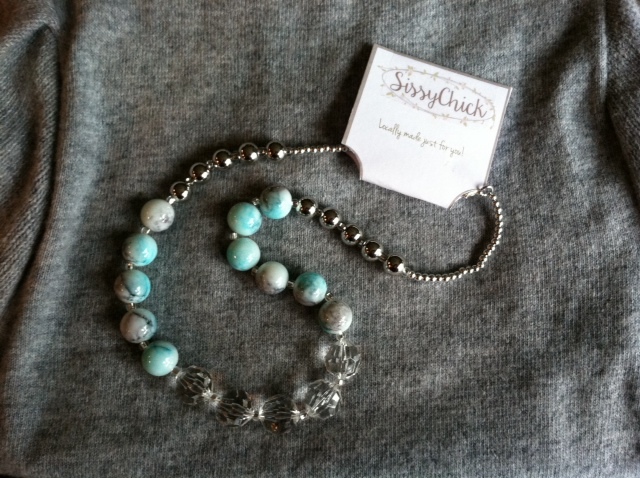 I could not pass up this necklace by Sissy Chick- locally made, adorable, versatile – and it matches my new sweater. It was destiny, right? But that’s not all . . . I also picked up this painted wooden sign – just because. 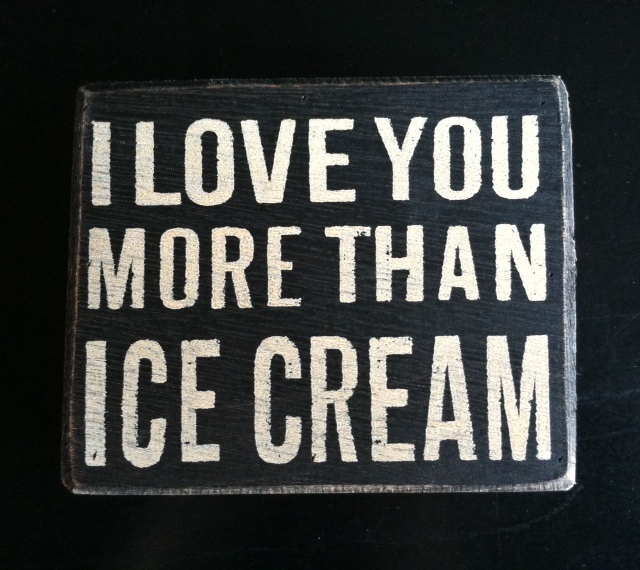 It sums up the way that I feel about my husband and two boys, and that says A LOT, because ice cream is good. 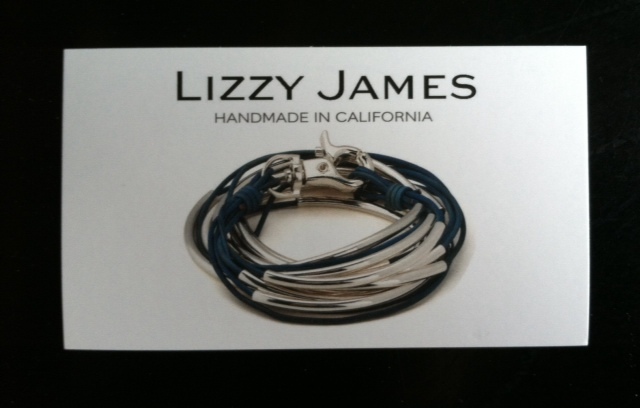 If you visit Twisted Sisters Boutique and you love jewelry, ask them about their new Lizzy James bracelets. They are gorgeous and affordable and will be the next big trend. I have officially added one to my wish list! Maybe next time! 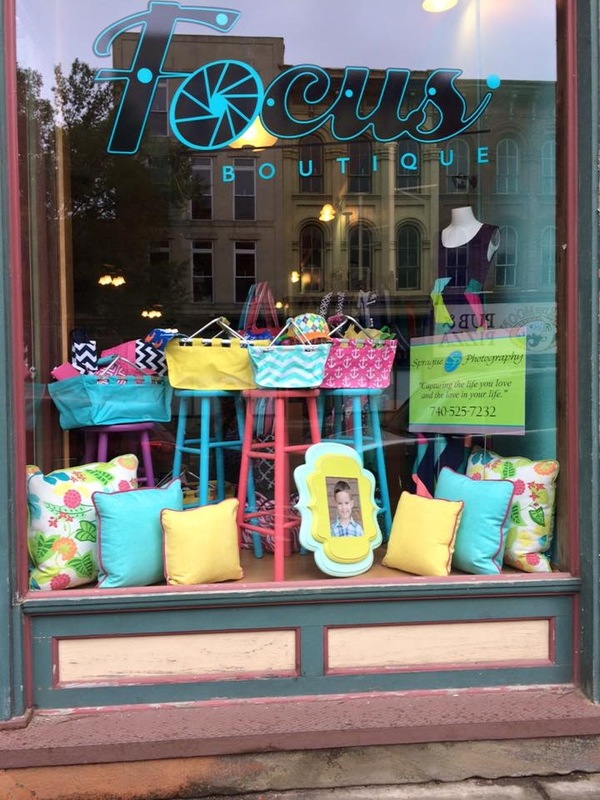 Another shop that you can’t miss in this block of Front Street is Focus Boutique. This shop recently relocated and added much more stock to the (awesome bright turquoise) floor right after my shopping trip. Check out this creative display of script letters. 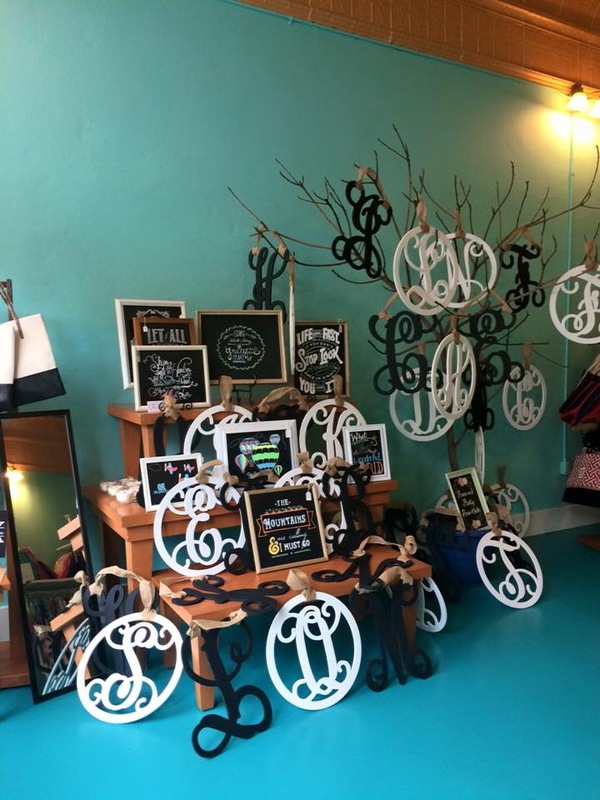 I want three of them – my first initial, my husband’s first initial, and our last initial to decorate a wall upstairs. Again, I added this to the wish list, but these are so fun that they might have trouble keeping them in stock for me. Just think of (or check Pinterest for) all of the ways that you could decorate with these . . . It makes my heart beat faster just thinking of the possibilities! This store is bright and fun and refreshing, so be sure to check it out. Focus also has some adorable clothes and accessories for young children, among other gift items. At this point, if you have been taking your time in such a way that you have had to move your car to a new parking spot, you may be getting hungry. 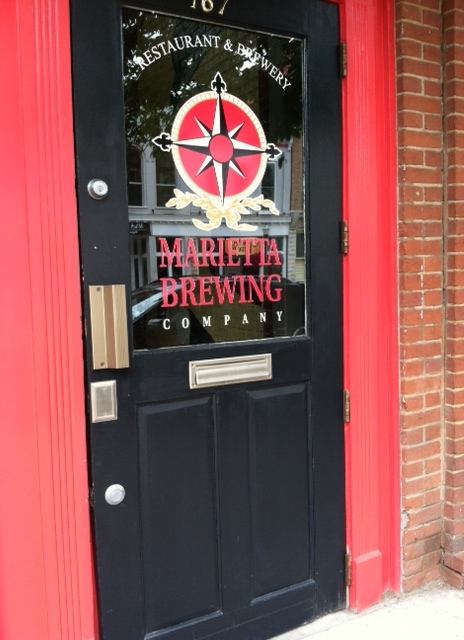 If so, I suggest enjoying lunch at Marietta Brewing Company before crossing the street for more shopping. I’m not sure why, but this restaurant just “feels” like Marietta to me. Maybe it’s because of the location near the river, or maybe it’s the mural painted on a brick wall inside that makes me nostalgic. Burgers. Fries. Beer. Enjoy! If you are craving pizza for lunch, instead, check out The Pizza Place on Second Street. (Marietta kids don’t know how good they have it. Back in the day, we had to drive across the river to another state for a slice of this!) Also on Second Street, Tampico offers Mexican cuisine and is a quick stop if you are in a hurry. In addition, you might consider The Levee House, which provides a lovely view of the river along with your meal if you are shopping on a sunny day. There are still other options, so do your homework to find the best fit for you. Assuming that you ate at Marietta Brewing Company, it’s time to cross the street to visit a couple of my absolute favorite shops. On the corner of Front and Butler Streets, you will find The Cook’s Shop. I don’t cook much, but this store makes me want to. You will most definitely find a gadget here that is new to you, as well as a gift in any price range for the gourmet chef in your life. You could easily browse here for a long time. Don’t forget to watch the time; you probably need to move your car again soon. Next door to The Cook’s Shop is Simple Pleasures. This may sound creepy, but I just want to live here. Seriously. I am ready to move in whenever the owners agree (NEVER). Like The Cook’s Shop, this place is absolutely packed with merchandise, and here it is displayed in the most inviting way. Books. Journals. Home décor. Furniture. Gifts. Soaps. Lotions. Jewelry. There is really nothing in this store that I don’t love, and I’m not even exaggerating. I’ll take one of everything, thank you. 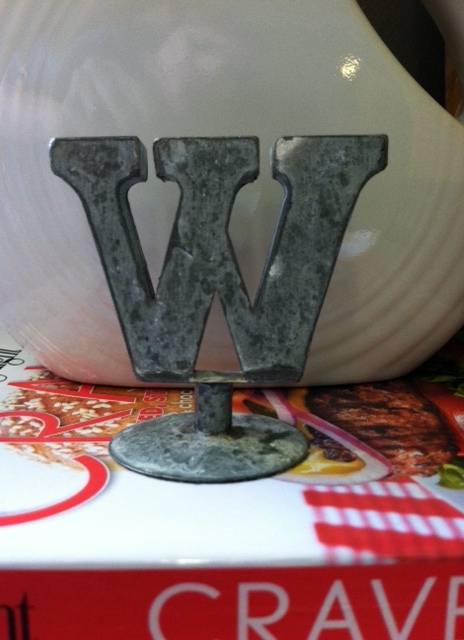 Here is one of my favorite small purchases from Simple Pleasures, a metal “W” that sits in my kitchen where I can admire it every day. I appreciate the small touches that add character to a home – and the owners of Simple Pleasures do, too. Love this store. Again, be sure to explore every store along your path in Marietta, but definitely do not miss Brick Street Cottage. The owner “upcycles” old furniture, and her work and her vision for what “junk” can become are impressive. If you aren’t in the market for furniture, don’t worry. She also sells paint, some unique home décor items, and even some jewelry. I like decorating with letters (as discussed above), and I noticed that she does, too, so I like her style. 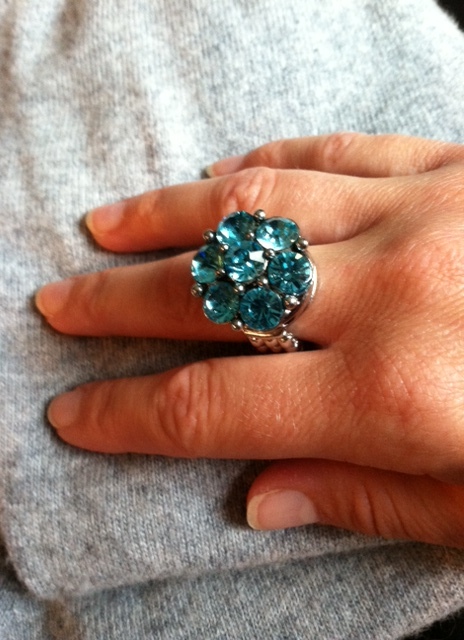 Here is an unexpected Brick Street Cottage jewelry purchase that I absolutely love. 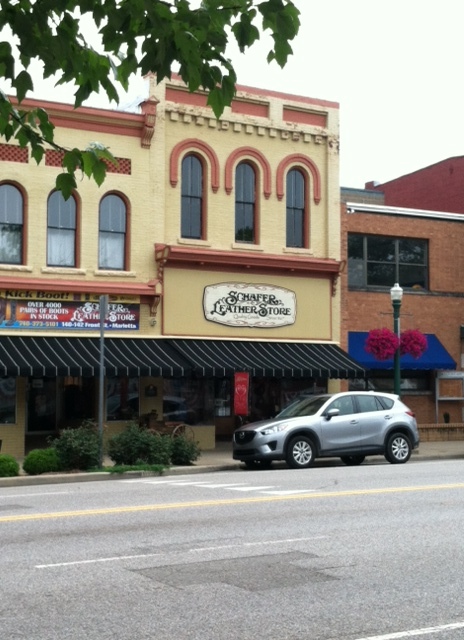 You will also want to venture into Schafer Leather Store because it is truly a Marietta landmark. The store originated in 1867 and is one of those rare small businesses that has survived the test of time by honoring its roots while also adapting to new consumer demands with each new decade. I consider myself more of a city dweller these days, but when I am in Schafer’s, I just want to be a cowgirl. I’m not even kidding. You can saddle up and get yourself some new boots, a purse, earrings, a knife, or some urban cowboy fashions here. If you don’t visit Shafer Leather Store, then did you really visit Marietta? This might be a good time to walk toward the levee and admire the river for a few minutes. Take a break, relax, and then backtrack on Front Street toward Putnam. After crossing Butler Street, you will find several more shops to enjoy. Be sure to grab a snack at Putnam Street Chocolates to renew your energy. I personally prefer anything there made from chocolate, which basically covers everything in the store. Really, you can’t go wrong. While shopping in this block, don’t miss Dad’s Primitive Workbench. This store is bigger than it looks and holds more merchandise than you would imagine from standing outside. Their claim to fame is repurposing old objects – old buckets for planters, old barrels for tables, old books for decoration. I found a barrel there that would be the perfect addition between two rocking chairs on my front porch. Add a red geranium in a galvanized bucket on top, and the display could be in Better Homes and Gardens. They also sell candles and soaps with the natural, rugged design that fits their brand. 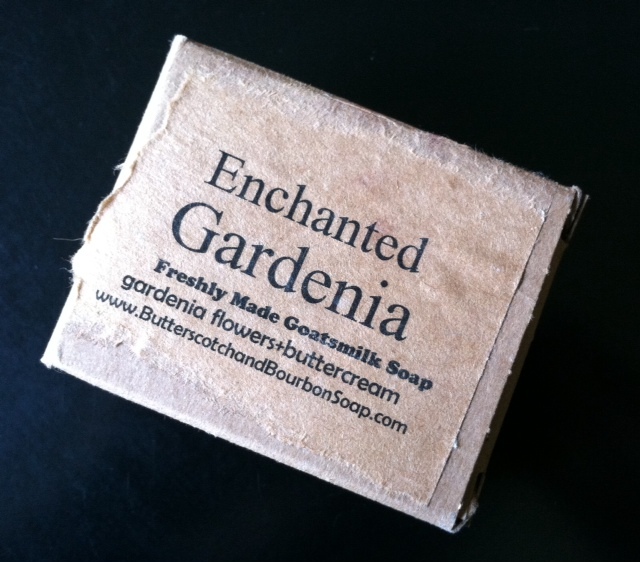 My friend bought a soap there as a Christmas gift for me, and the refreshing floral fragrance reminded me of my grandmother every time I washed my hands. Ahhhh . . . Wonderful stuff. I suggest that you continue your shopping trip by walking around the block on Putnam Street to Second Street to Butler and back to Front. On Putnam Street, you can add an Alex and Ani bracelet to your collection at Baker and Baker Jewelers. On Second Street, visit Marietta Adventure Company. They can help you plan an outdoor adventure in Marietta for the next day or the next time that you visit! When you have exhausted Front Street and Second Street, you can use the footbridge to cross the river to continue your small-town shopping and to experience the river from a different vantage point. This is a very Marietta thing to do. You will find the bridge at the corner of Front and Butler Streets, and it will lead you right to the heart of historic Harmar village. There are some eclectic shops here, as well, such as Found Antiques, and The Busy Bee is the kind of hole-in-the-wall diner that adventurous tourists dream of stumbling upon. Many residents say that it offers the best breakfast in town, so you may want to come back the next morning. 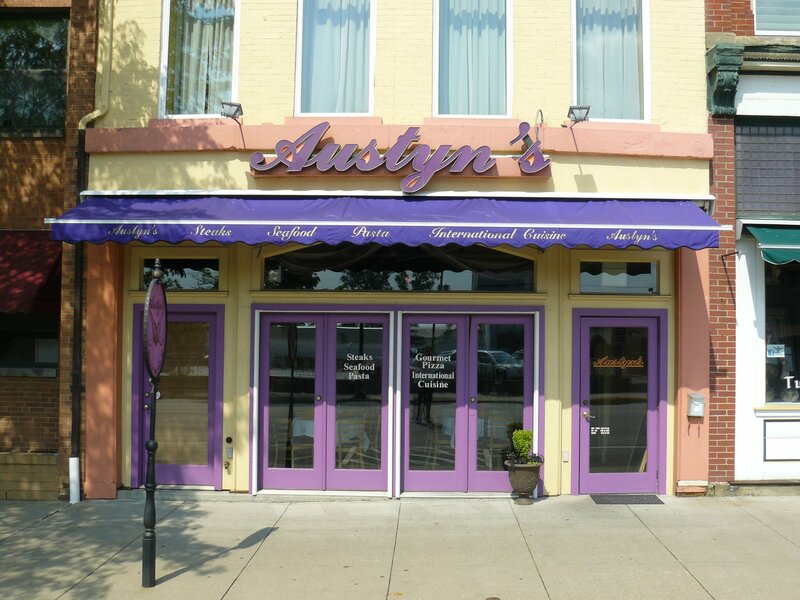 At the end of the day, rest your feet while you savor dinner and drinks at Austyn’s on Front Street. If crab cakes are on the menu, order them. You won’t be disappointed. If crab cakes aren’t your thing, don’t worry. There are many other options, including Austyn’s chicken, another favorite of our family. Ryan and I love to support this restaurant because the owners not only create a wonderful experience but are also friends who attended high school with us. Cheers! I hope this convinced you to spend some time in the heart of Marietta by enjoying some shopping downtown. Be sure to do your own research, as well, before planning your road trip for a day or for a weekend getaway. There are many small businesses and restaurants there that would warmly welcome you and help you enjoy your day. And if you live in Marietta, when is the last time that you supported your downtown merchants? Maybe it is true that you don’t truly appreciate what your hometown has to offer until you say goodbye. I may no longer live in Marietta, but I promise that I will be back to do some shopping again soon. You should send this to Marietta Tourist and Convention Bureau. Couldn’t be better said. Mary, Marietta absolutely should pay you for this beautiful description of Marietta! It could maybe be a story in Ohio Magazine or Travel and Tourism! You are such a gifted writer! I love reading your blogs. Each one just gets better! Thanks for sharing! Awwww! Thank you, Kay! I love writing, and this blog is filling a need in my life and bringing me joy. Comments like this are the icing on the cake! Thanks, again. Thank you for shopping with us and sharing your experience! The pleasure was all mine! I’m happy to share! 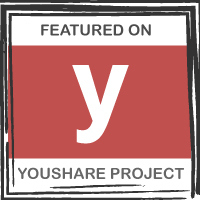 Liked your Blog. One thing you could have added is. If this is not something your husbands or boyfriends would be interested in send them out to 1 of the 10 golf courses in the area while you do your exploring. Thanks for mentioning that, Larry! I know very little about the golf courses in the area, but I’m sure others would enjoy checking out those opportunities. That might buy a little more shopping time for the people who like shopping, too! This post has been popular, so maybe I need to write one about other entertainment options in Marietta outside of downtown shopping. Thanks for reading my blog. I truly appreciate it. 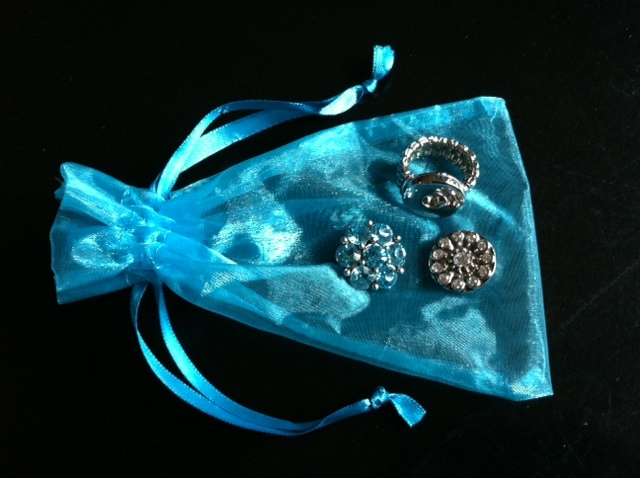 I’m so happy to see that you purchased something from my line at Twisted Sisters! Thank you, thank you, thank you! I hope you really enjoy wearing it. It’s one of my favorites. Also, I love the post. You hit the nail on the head. Thanks so much, Trish! It was a fun one to write! 🙂 Maybe I will write more about my lovely hometown soon! Thanks for reading and commenting, Rod! I’m sorry you had a bad experience in Marietta. I am not a boat enthusiast, so I can’t comment regarding the boating rules. I do agree that it was a sad day when the Becky Thatcher was no longer a Marietta landmark. I would have liked to have shared the Becky Thatcher experience with my kids. I even remember seeing a play there once. As someone who no longer lives there, I do miss Marietta’s small town charm. When I visited recently, however, I did find it very sad how much some parts of the city have declined.